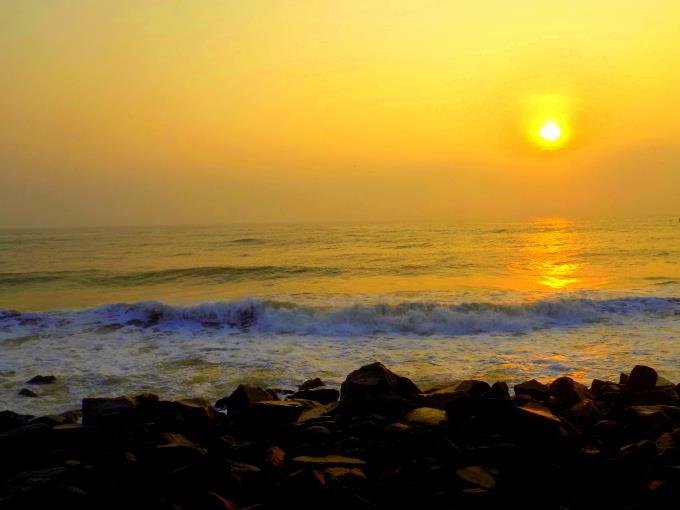 If you are tired of hustle & bustle of city life, Puducherry is a distinct choice for you! An unbeatable beauty of Promenade beach, tantalizing cafes & bakeries, picturesque French architecture, grand boulevards, and the spiritual heritage; what else could you demand more after experiencing all these in one place. 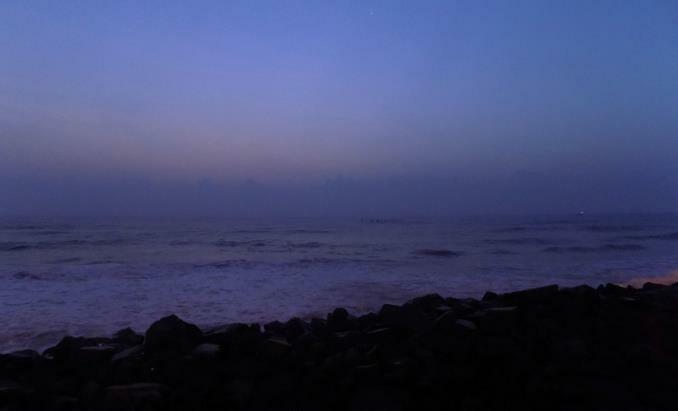 Nothing seems perfect than lying/sitting down on a rock, sipping a hot cup of tea & listening to the whispers of waves, while gazing the stars on the sky! This experience is unique & rare in our day-to-day city life. So much peace! So much completeness! The most remarkable experience for a soul! When the first ray of sun kisses the sky, while the clouds floating subtly like the wisps of cotton candy; watch the spectacular unfurled colors on the vibrant golden sky. Here, your eyes & mind would encounter the most delightful & breath-taking view for a lifetime. To witness & experience the most spectacular sunrise, all that you need to do is- Head to the most prominent beach stretch known as Promenade Beach by 4 am & find a quiet place to settle down, comfortably. During the dawn, the waves roar subtly & thrashes onto the rocks at the beach which produces a beautiful tune to the ears. Sit quietly for a while & look far into the ocean... the vastness of the ocean & the sailing boats there will surely hold your senses for a while. Maybe the words cannot ever be enough to describe this blooming beauty. 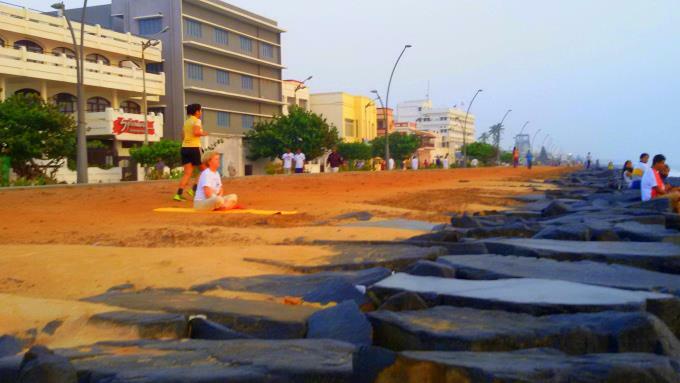 On the bank of the beach at early morning, you will find many people practicing yoga, exercise & meditation. What a delightful experience it would be to practice meditation while gazing at the huge waves of the ocean! Auroville is not a place to see in a day, rather, it's a place to experience. The Universal Township, Auroville was founded by Mirra Alfassa in Feb 1968. Mirra Alfassa, also referred by the name of 'Mother' in her first public message about the township stated, "Auroville is meant to be a universal town where men and women of all countries are able to live in peace and progressive harmony, above all creeds, all politics, and all nationalities. The purpose of Auroville is to realize human unity." 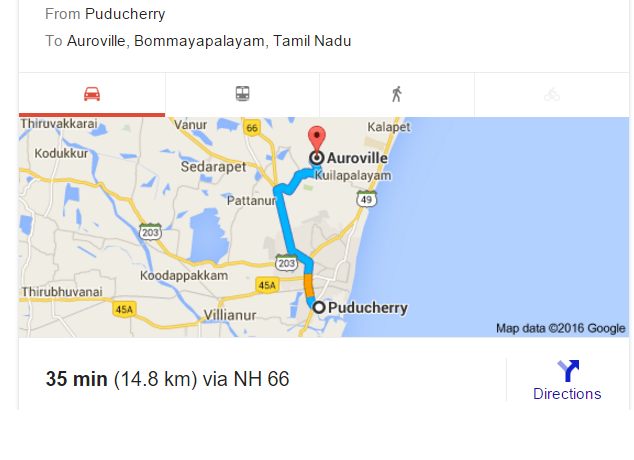 The township is approximately 15 km away from Puducherry; I would suggest you get a map and hire a bicycle or a Bike/Scooter. 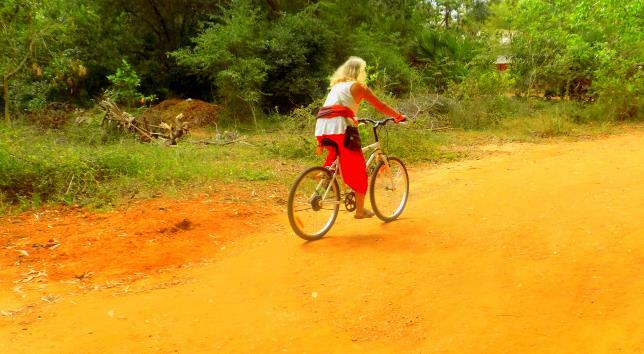 This would be an ultimate way to discover Auroville in your own way. Things to do in Auroville! 1. 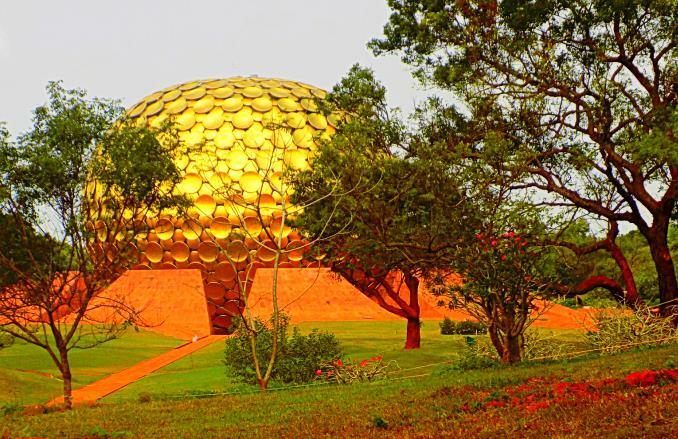 Visit Matrimandir- This is 'the soul' of Auroville. It is not allowed to access inside Matrimandir by all the visitors, but only for those who are serious about the ideology. 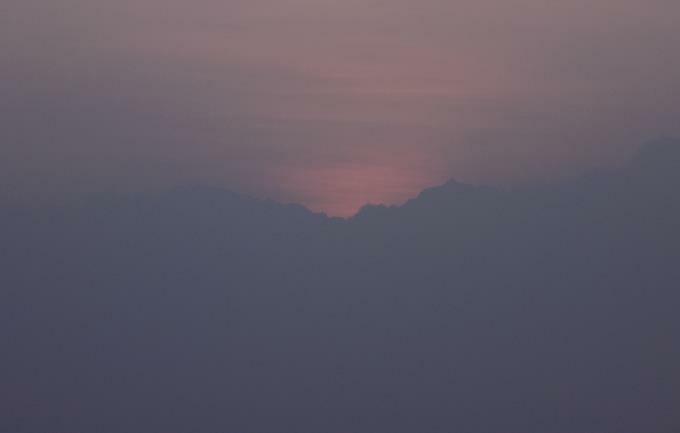 Those who wants to take just a trip to Matrimandir can look around from the distance. To spend time inside Matrimandir, one needs to make a prior booking. 1st day, you need to collect passes from the office at the Visitors' Centre for a trip inside the Matri Mandir & next day, you can visit Matrimandir. Matrimandir is surrounded by 12 petals. Inside these petals, there are 12 meditation chambers. 2. Hone a skill- There are a lot of things to do & learn in Auroville. This place offers many short-term workshops & classes for Aurovillians & guests such as incense manufacturing, handmade paper making, sustainable farming, & et cetera. 3. Hang out at eating joints, pizzerias & cafes like Auroville Bakery, Momos cafe, Farm fresh, Frite corner & La Terraza. Amble down the roads to the Promenade beach to relax & rejuvenate in the evening breeze. Vehicles are barred from entering the beach road stretch from evening 6:00 pm to morning 7:00 am, which makes it apt for long, lazy walks. Walk on the beach stretch & see many prominent, colonial buildings & spots such as Mahatma Gandhi statue, Chef Secretariat Building, Light House, Bharathi Park, French War memorial, The Basilica of the Sacred Heart of Jesus Church, French Consulate General, Aurobindo Ashram & Meditation Hall. These spots are at a walkable distance. Note: You will find this map really handy & helpful. I've highlighted some areas with blue color, you can easily walk to these spots at the evening hours conveniently. This is a place for anyone & everyone! A quiet place, away from the hustle & bustle of daily life where people come from various countries and places, irrespective of their age to meditate & find peace. Ashram gate opens at 4:30 am & closes at 11:00 pm. One can go to Samadhi for Pranam & meditation. Samadhi is accessible to all, except on Monday, Tuesday, Wednesday & Friday. In those 4 days 7:00 pm onward; it is accessible by Ashramities & Visitors who stays in the Ashram guest house on display of playground passes. One needs to switch off their mobile & maintain pin drop silence. People come to the samadhi to offer pranam & meditate. This town is only one of its kind in India, where the beautiful amalgamation of French & Tamil architecture could be found. It has got a fascinating taste of French Architecture. The colonial past of the town is visible in its Architecture & Township plan which included Portuguese, the Dutch, the Danes, the French, the British, and then the French again. The pouring bougainvillea, the swanky pots of greenery and blooming plants, gazebos and mini pavilions, the churches and the very unmistakable European architecture influenced by the local Tamil architecture; the standout in its own way. The cafes, the churches, the stately homes, the private villas, Aurobindo ashram & government institutions display a dramatic french influence in its characteristic; which attracts tourists from all over the world. 7. Tantalize your taste bud in Cafes & Bakeries! This small town has got quite a bit to offer when it comes to food! Besides architecture & culture, the influence of the west could be observed in the cuisines too. From local to European, & Asian, this town has all the flavors to bring back its visitors again & again. And, when it comes to desserts, no other place in India can beat Puducherry. Here's the list of cafes & eating joints! 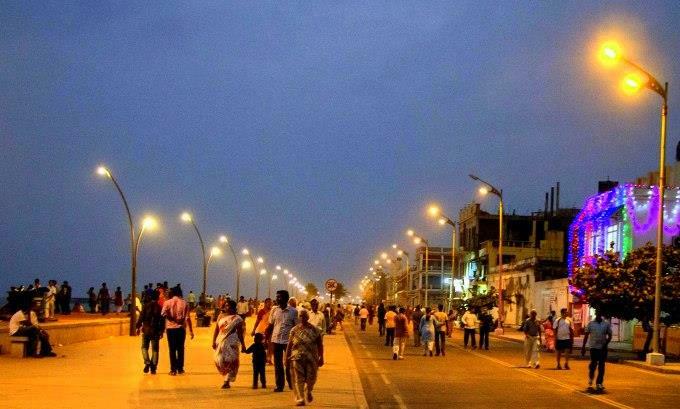 Puducherry, a beautiful small town with fine Boulevard & unique architecture. What a fun it would be if you look around the entire town at your own convenience & appreciate the beauty to the fullest! You can hire a bicycle from the Mission Road. There are a plethora of such small stores in & around Mission Road who provides a bicycle for rent, you can look for a stylish & a jazzy bicycle for yourself. The charges are quite affordable, Rs 75 per day. All you need to do to hire a bicycle is carrying an ID proof to the shop. The shopkeeper will keep the ID with them, & returns it once you return the bicycle to the shop. 1. Carry a big bottle of sunscreen lotion. 2. 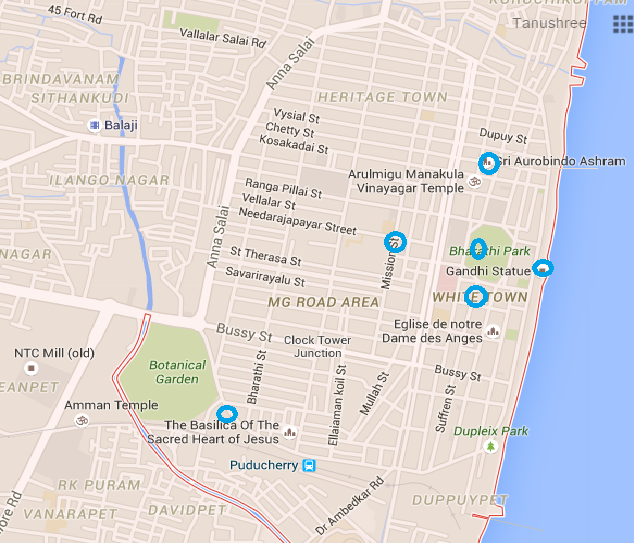 Buy a Puducherry Map, hire a bicycle & discover the town in a new way. 3. Puducherry is well connected with other major cities; it has got the airport, railway station & regular buses from major cities. 4. Wear comfortable clothes during the daytime as humidity is relatively high. 5. In case, you have a tight budget, the visit to the Bureau Central of Aurobindo Ashram and request for a room. If you're lucky, you may get a chance to stay in one of the ashrams on availability. Wow! Inspiring travel article. Keep writting. Tanushree, after reading your article, I am planning a trip to Puducherry. Can you suggest a few safe family resorts in Puducherry? I will be travelling with children and they love swimming pools. So, I am looking for a good family friendly resort with a pool. Any recommendations? Wow. 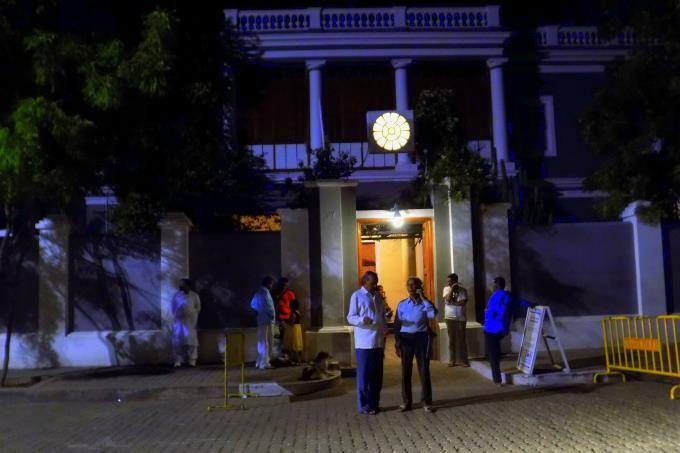 I had been to Puducherry many times and experienced differently at my every visit. But this travelogue really gives me another dimension of Puducherry and will surely make another visit. I would love to add there are many boat houses to enjoy also. Especially one which takes us to the shore and back is marvellous to see. Good blog. Nice to read your experience at Puducherry. Which camera you used to take those photos? The photos looks very good. Did you stay in any hotels there? Please suggest some budget hotels or resorts in Puducherry which are suitable for family stay.